June is Dairy Month! 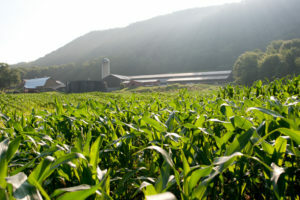 Learn more about how dairy impacts our economy, our planet, our diet, our land use, and how dairy farming connects us with heritage in the Pioneer Valley. Join the conversation with experts across all fields of dairy (get it?!). 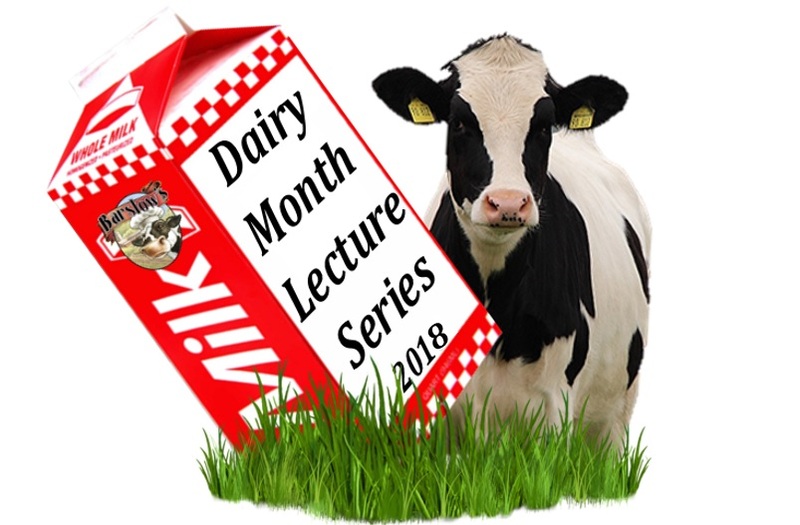 The Dairy Month Lecture Series is hosted by Barstow’s Longview Farm and Barstow’s Dairy Store and Bakery. Tours and lectures begin and end at Barstow’s Dairy Store and Bakery (172 Hockanum Road, Hadley, MA) on Sundays in June, 2018. Family friendly! Open to people of all interest levels. Presenter: Claire Morenon, Communications Manager at CISA, Community Involved in Sustaining Agriculture. 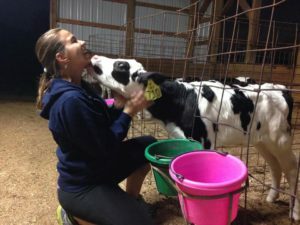 Dairy farms are vital to Massachusetts agriculture, but most dairy farms haven’t benefited much from the increased interest in local food and farms that’s developed over the last couple of decades. Come learn why dairy farms are so important and about their unique challenges. Presenter: Cathy Shugg is a soil agronomist for Crop Production Services, Inc. in South Deerfield, MA. Farmers have a lot to think about when it comes to planting season. Hear about general cropping considerations and the factors that influence them: the cow and her diet, herd size, land availability, soil type, tillage practices, crop nutrient needs, manure applications, seed selection (including GMO’s), herbicide applications, and harvesting methods. Presenter: Caroline Barstow, DVM, Hess McWilliams Veterinary Services. Dr. Barstow graduated from Mount Holyoke College in 2010 and Cornell University College of Veterinary Medicine in 2016. Food production veterinarians have the special challenge of balancing the best health care for their animal patients, keeping the client’s business profitable, and upholding public health. Get an inside look at what a large animal veterinarian can do for the cows and their farmer. Start to understand how large animal veterinarians work with the dairy industry to keep the food we consume safe while keeping the cows healthy. Presenter: Lee Halasz – TerraCorps-AmeriCorps Regional Conservation Coordinator, Kestrel Land Trust. Lee has worked on various aspects of natural resource management with a variety of organizations (mostly in Australia), and is currently working to forward farmland conservation in the Pioneer Valley through Kestrel Land Trust and the Forever Farmland Initiative. The number of people that call the Pioneer Valley home is growing, but for many reasons it is critical to keep farmland in our community. Come and hear about how much farmland we have, how much is already conserved, and ways to conserve more farmland. Presenter: Denise Barstow, Marketing and Education Manager at Barstow’s Longview Farm. Cow manure and food waste come together in the Barstow’s Longview Farm Anaerobic Digester to create enough green electricity for 1,400 Massachusetts homes. Learn about this zero waste, closed loop system on your neighborhood dairy farm. Presenter: Sue Mazrolle, MSRD, LDN has been a Registered Dietitian for over 30 years. Sue received her Bachelor’s Degree in Human Nutrition from UMass Amherst and her Master’s Degree in Human Nutrition from Tufts University. Sue’s passion is teaching people of all ages about healthy eating. Sue enjoys doing cooking demos, workshops and leads supermarket tours as well. Nutritious and delicious is her motto! When it comes to dairy nutrition, there is no equal! Learn about dairy’s role in type 2 diabetes, heart health, weight management, and bones. And when it comes to deciding which “milk” makes it into your glass at dinner, learn the facts that will help you make a smart choice. Free DIY yogurt parfait demonstration and Cabot cheese samples. Presenter: Denise Barstow, Marketing and Education Manager, Barstow’s Longview Farm. 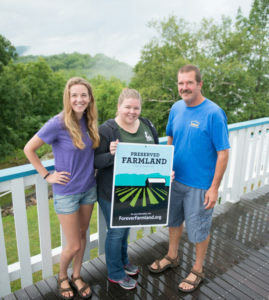 Meet the youngest girls on the farm with 7th generation farmer, Denise! Visit the calves and learn about what they eat and how they grow. The future of dairy farming relies on the next generation, that means both animals and farmers. 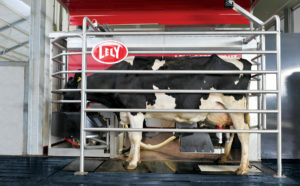 See firsthand how dairy robotics can help to deliver a safe, consistent, and nutritious product all while providing exceptional cow comfort 24/7/365.